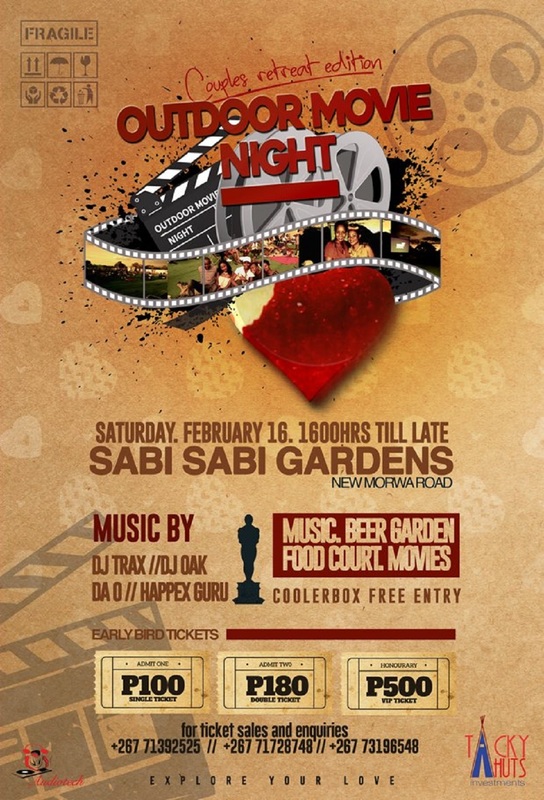 Spend an extraordinary afternoon and evening together with friends and family — at Sabi Sabi Gardens (New Morwa Road).. The Outdoor Movie Night will without a doubt become known as one of the most prestigious events once again in 2019. An event where you arrive as strangers and leave as friends! During the afternoon and evening, guests will enjoy each other's company, delicious food, romantic music, entertainment and movies that promises an unforgettable event. Guests are welcome to bring their own picnic baskets, cooler box, camp chair & picnic blankets..